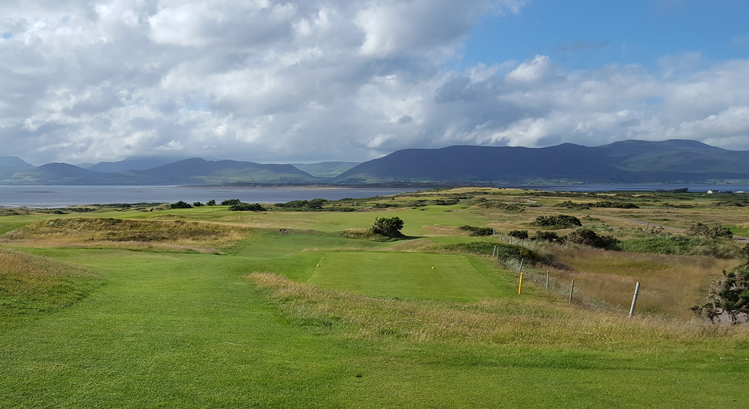 Dooks Golf Links Hole 1: The 1st and 17th holes are the only ones on the golf course that don't feel as much like links golf and lack ocean views. However, this par 4 does have plenty of OB left off the tee and gorse to the right on the second, so maybe the lack of view can help the golfer focus and start with a good score. Dooks Golf Links Hole 2: This downhill par four doglegs right and the ideal drive is to carry the bunkers at the corner of that dogleg. Of course, hitting in them is the worst outcome but there is room aplenty to the left, which will leave a little longer shot to the green. Dooks Golf Links Hole 4: This par three has OB left the entire way and appears very tight from the tee. However, there are some forgiving slopes to the right of the green that may help a ball find its home on a lucky bounce. The tee box is in an ideal place on earth and has a 300 degree amazing view. 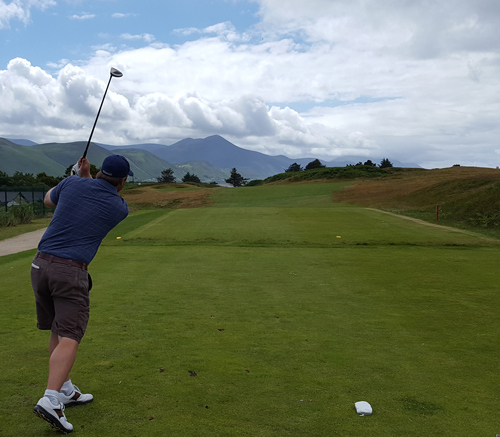 Dooks Golf Links Hole 6: This downhill par five sweeps to the right. It has just enough gorse to get the player's attention on the drive and has amazing views of the Irish coast. The wide green has the classic pot bunker right in front of it making angles taken to various pin placements key to success. Dooks Golf Links Hole 7: Uphill and very long, this par four is usually helped by a trailing wind but still requires to excellent shots. There are dunes on either side of the fairway and more near the green complex, along with a couple of bunkers and a large, but angled green with strong slopes to it. Dooks Golf Links Hole 8: This par three is not very long and has a pretty large green. Thus, the punishment for missing it is severe with deep bunkers and thick grasses. 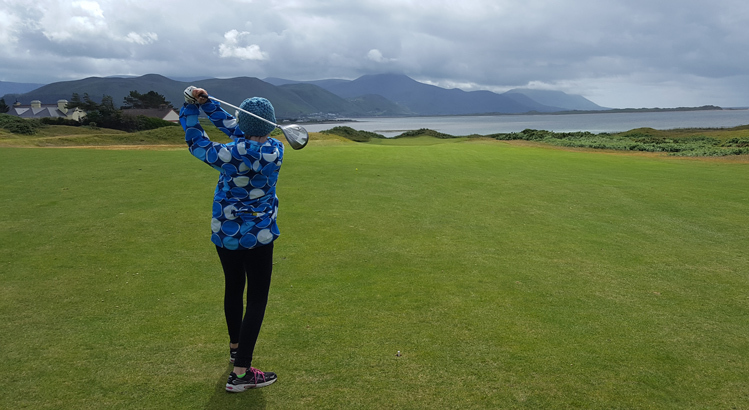 Dooks Golf Links Hole 10: One could put their drive in the ocean to the left with a big pull but there is plenty of room right of the fairway to miss and still be safe. The par five bends sharply right about 125 yards out and going through that is OB. So, the player must choose their layup distance and angle carefully. A big drive can allow the player to cut the corner and go for the green in two, but it is elevated with steep slopes on most sides, so holding the green is tough. Dooks Golf Links Hole 12: This uphill par four is not long, but it has a lot of trouble to the left of the fairway. That being said, the angle to the elevated green is much better from the left side of the fairway as it takes the two pot bunkers to the right of the green a little more out of play. 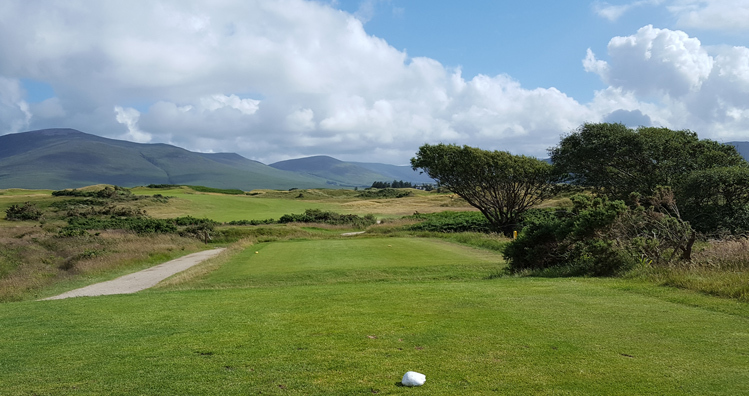 Dooks Golf Links Hole 14: This downhill par four is a slight dogleg right and the green is one of the most difficult to both hit and putt on the entire course. Dooks Golf Links Hole 18: The finishing hole has an uphill tee shot and is fairly long at over 400 yards from two sets of tees. The second shot is central to success though as the green is set between to guarding dunes and some pin placements can be blind depending on the position of the drive.